Potter Characters. This is a bunch of the Potter characters with their names underneath. 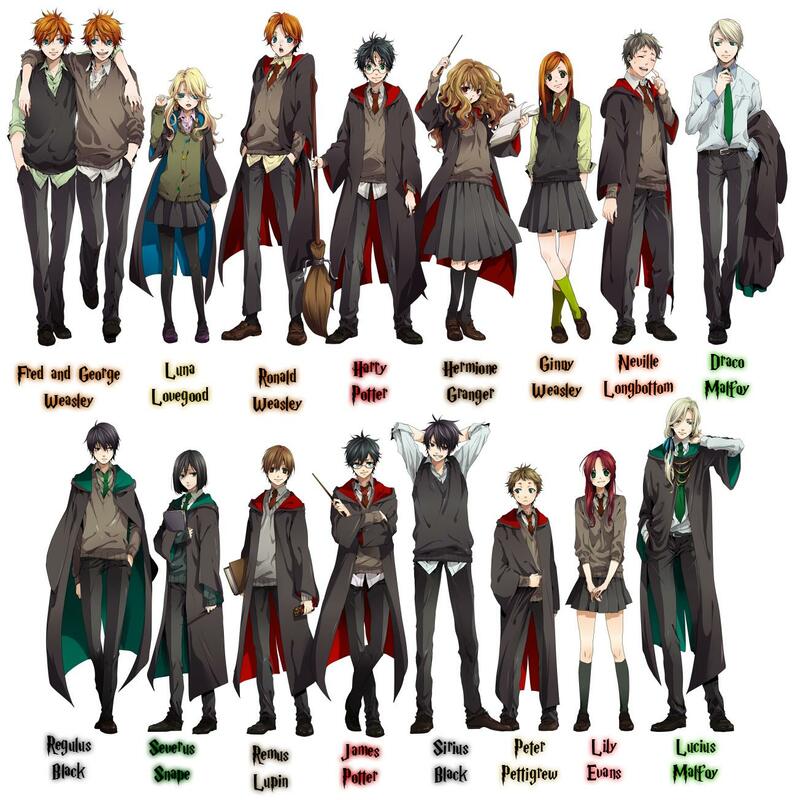 I don't own this btw.... HD Wallpaper and background images in the animé Harry Potter club tagged: harry potter ron anime malfoy hermione weasley ginny fred George.